As soon as the thermostat drops, the first thing we update is our wardrobe, layering knits, scarves, and coats to brave the chill. But as that crisp fall breeze becomes a frigid winter frost, it's time to turn your attention to your home and adopt the same approach, layering décor. While transitioning your home with cozy accessories is a natural step—you've probably already tossed textured cushions and a thick throw on the sofa—we've noticed that this season's stylish interiors have one thing in common: layered rugs. "This trend is definitely on the rise," says interior designer Elizabeth Lawson. "It can work well in any home. 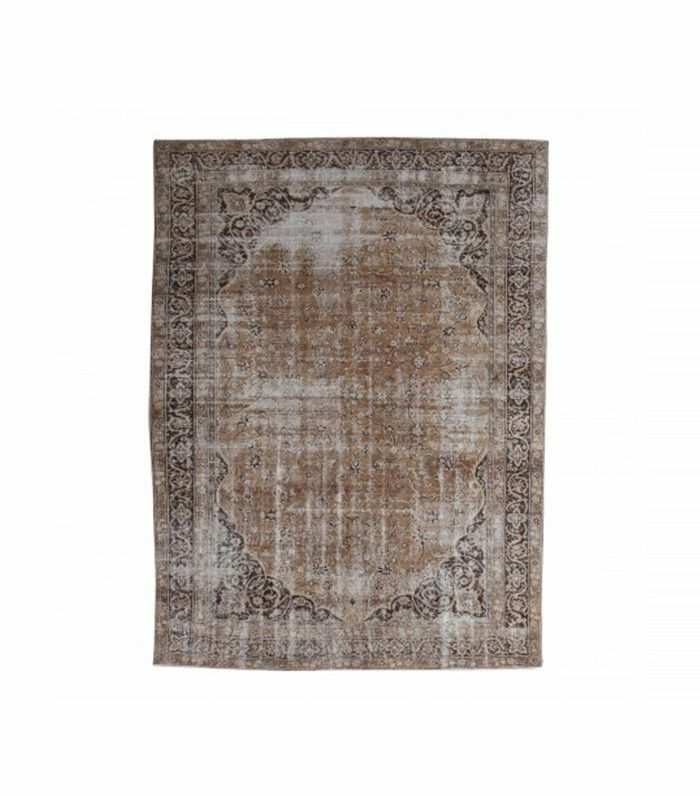 It's all about selecting a style of rug to suit your home—that's the most important thing to consider." Sally Gotfredson, design manager at One Kings Lane, says this trend is the ideal way to experiment with seasonal colors. "It's perfect for bringing in different colors you couldn't otherwise commit to—or don't feel right in your home year-round," she says. It might seem simple, but layering rugs isn't a two-step process. Here, we called on leading interior design and rug experts to find out their top tips for perfecting winter's most inviting trend. Follow these five steps to choose, layer, and style the perfect rugs for your home. Winter, we're ready for you. Just because a room has an existing rug doesn't mean it's suited to this trend, says Gotfredson. Layered rugs add color and texture, which means small rooms can become cluttered. "If you have a lot of solid furniture in the space and can hardly even see the rug, then don't bother," she says. "Save it for a room where it can really add something and not contribute to clutter." If you're struggling to style a large space or an open-plan home, layered rugs can be used to your advantage, says Sam Moradzadeh, principal of Woven and creative director at Studio Woven. "I like the way a layered rug looks in an open floor plan. The openness of a room flows so well with a layered look," he says. Rugs can be used to group furniture and create clear social areas, ideal for a living room. "It evokes a grounding feeling where family and guests feel welcome to gather within." Before selecting the base and accent rug, consider how often the room is used and whether the rugs will quickly wear. "In areas with heavy foot traffic, it's nice because you can swap out the top layer periodically to avoid it getting too worn in," explains Gotfredson. Transition spaces like an entryway or hallway are likely to see the most use, so opt for a durable, low-pile rug that won't suffer from wear and tear. "In the bedroom, you can layer a super-soft sheepskin or flokati rug—anything with a higher pile so it's soft on your feet," she says. However, one part of the house doesn't lend itself to this trend: the dining room. "Two rugs on top of each other make it difficult to move chairs in and out of table area," explains Alison Palevsky, owner and principal designer at Palevsky. Aside from practicalities, she also says it could make the room look messy or overstyled. "The legs of the chairs plus the two rugs feel a bit heavy and busy." Picture your room as a stage, says Lawson. "You want to make sure the top rug is center stage and the base rug plays a supporting role." In other words, the bottom-layer rug should help set the scene and frame the accent rug, not steal attention. "Natural fiber is traditionally what people use, and I would say that looks best 90% of the time," says Gotfredson, but don't let that limit you. "There are so many options, from a chunky and soft jute to a very finely woven sisal that you can experiment with." New York–based interior designer Mara Silber follows this rule to ensure the base and accent rug pair perfectly: "Consider the texture, pile height, shape, and color of the rug you already have—then do the opposite," she says. "Plush texture on the bottom? Flat weave on top. Cut pile on the bottom? Woven on top." This juxtaposition will add fresh colors and textures to reinvigorate a tired space. When in doubt, always choose a larger base rug than you think is necessary. Why? 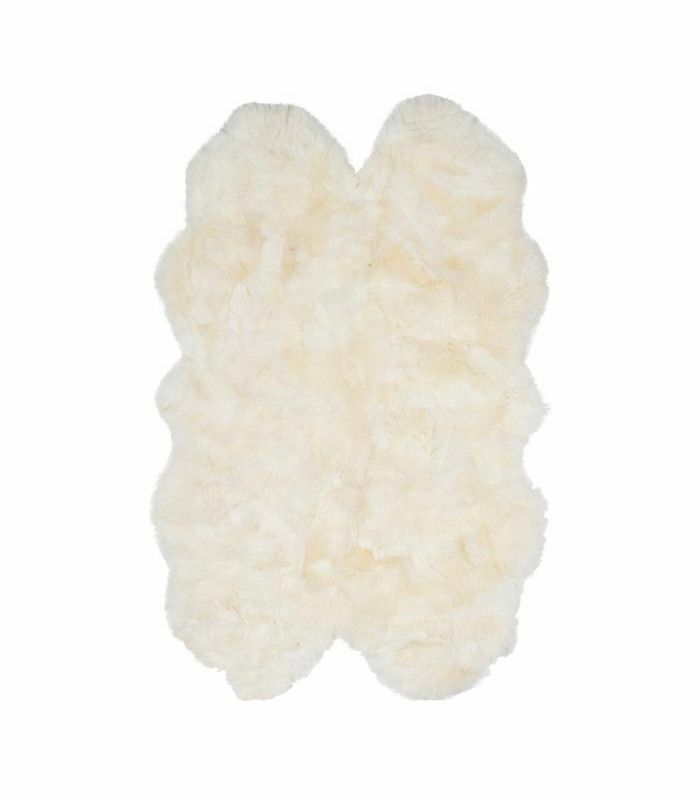 Small rugs instantly cheapen a room. You also need to account for border space so the base rug is still visible. "I recommend allowing for at least 12 inches of space between the edge of the top layer and the bottom layer. Otherwise, the bottom rug will get lost, and the space will feel cluttered," says Silber. "Another good rule to follow: Don't cover more than 3/4 of the bottom rug." "First, raid your parents or grandparents collections!" says Gotfredson. "I feel rugs are something that can have many lives, and I wouldn't be surprised if there was a rug in your childhood home that you might see in a new light now!" Her top picks include flat weaves, dhurries, and oushaks—"they never fail to look stylish!" Silber says this is a perfect opportunity to find a rug you adore, without worrying too much about proportions. "A lot of the time, I end up with layered rugs because I stumble upon one I absolutely love that's not quite the right size, so this is the perfect instance to use it," she explains. 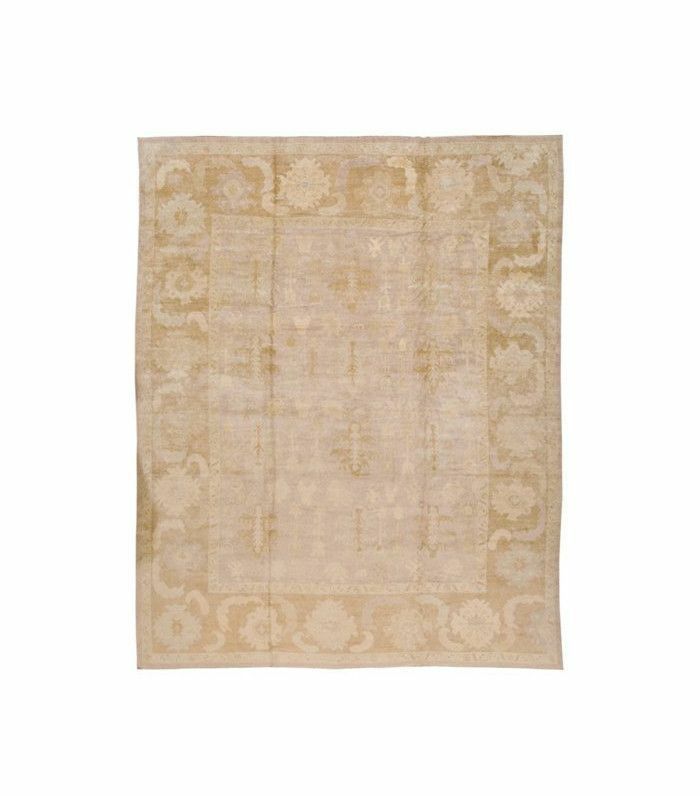 Given the high price of vintage pieces, this technique will also make small rugs look bigger and more extravagant, adds Lawson. 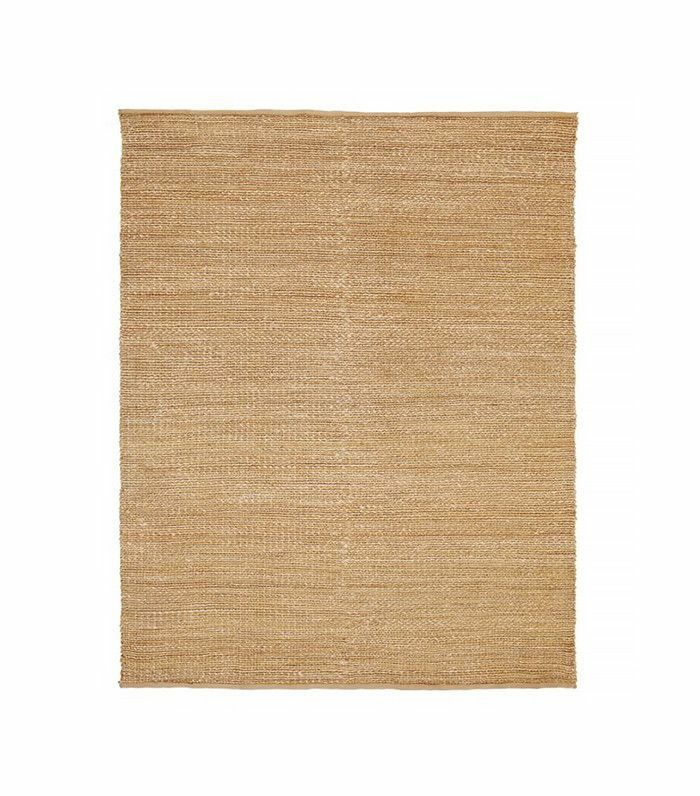 "Layering a vintage rug over a sisal is often really cost effective. Vintage rugs often come in smaller, odd sizes, and layering them over a sisal, which can be really inexpensive, is a great way to get the look that you want without the higher price tag." You've assessed your room, chosen a neutral base rug, and found the perfect accent piece—now what? The final step is one of the most important: grouping furniture to frame your new layered rugs. 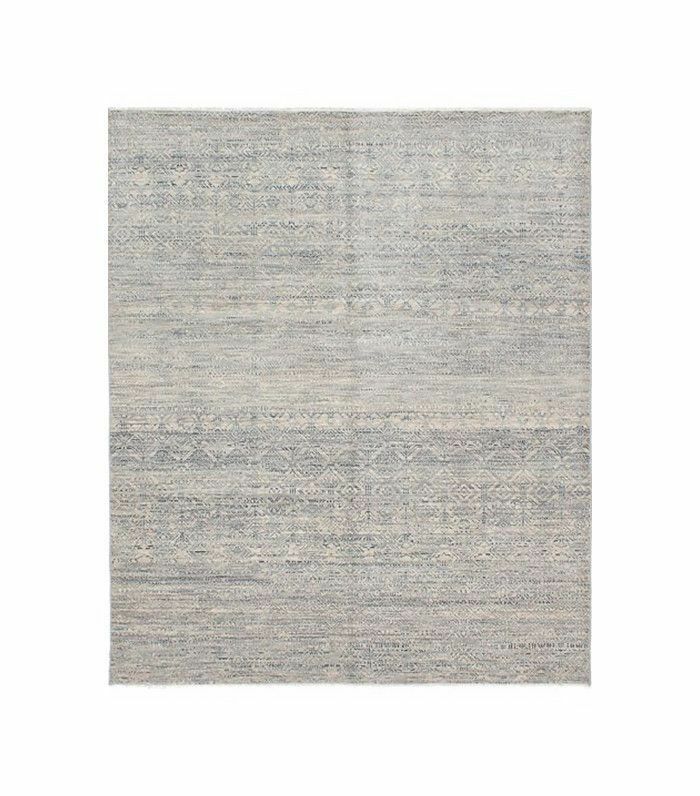 "Layered rugs involve a little bit of a dance to strike the right balance," says Gotfredson. "Is your coffee table glass? Then you can still have the majority of the rug underneath. If you have a solid marble or wood piece, maybe it needs to come out a bit from the sofa and live closer to the front of the room. One layout doesn't fit all, so be sure to work with your unique space." If you're styling with a small room, "try tilting it diagonally and just placing it halfway underneath an accent chair," she recommends. Otherwise, follow the traditional rule that at least two feet of each piece of furniture should sit on the rug. "[This] helps define the space or seating area," says Palevsky. "If you go outside of this rule, the furniture pieces don't always relate to one another, and feel disconnected." Above all, interior designers and rug experts stress one point: Have fun with it! Layering rugs allows you to experiment with colors and textures and introduce a burst of personality to your home. The best part? When the warmth of spring returns, updating your home is as easy as swapping out the winter accent rug for a fresh find. Simple.